HCC International more than doubled its post-tax profits to £18.8m last year as it benefited from rate increases in credit and political risk. Its 2008 figure was £8.5m. The US-owned insurer boosted its premium income to £147m last year from £126m in 2008, its 2009 accounts show. The insurer’s net loss ratio – the ratio of claims to earned premium – fell from 56% to 48%. HCC International also expects its 2010 results to benefit from about $70m (£45.2m) premium income to be written by its property treaty reinsurance team. The three underwriters, led by Tony O’Connor, were poached from Antares at the end of last year to write on HCC International’s newly merged Lloyd’s syndicate. The results were further improved by more prior year reserve releases. 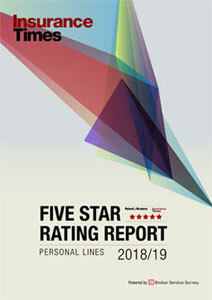 Regarding the overall picture in 2009, the report says the business environment was generally heavy with capacity; besides credit, rates remained flat in many classes. 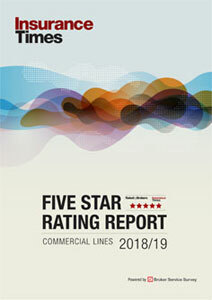 The report says: “The lines of business written by the company on a subscription basis, including onshore and offshore energy, property direct and facultative, marine, and accident and health, experienced a rating environment that was either flat or slightly deteriorating, and volumes were flat. HCC International will face PI competition in 2010 from Charles Manchester, former chief executive of its Lloyd’s syndicate. Manchester has set up an Amlin-backed managing general agency with former HCC staff. HCC International, the UK-based platform writing global business for its American parent, HCC insurance Holdings, declined to comment.